Where to find Gottmadingen hotels near an airport? 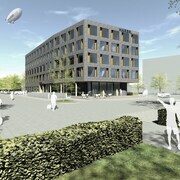 Where can I find hotels in Gottmadingen that are near tourist attractions? Visiting Lake Constance? 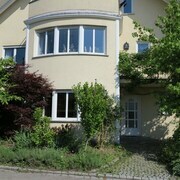 Are you looking to reserve a hotel or apartment conveniently located near the downtown part of Gottmadingen? 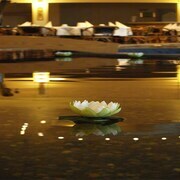 There are 3 Expedia-listed hotels within 0.1 kilometres (0.06 miles) of the heart of town. There are some Expedia-listed hotels within driving distance, including the Velohotel Hirschen and Holiday Inn Express Singen. The Der Öschberghof can be found 30 kilometres (19 miles) from the center of Gottmadingen. Another hotel is the Hotel Chlosterhof Stein Am Rhein, which is positioned 11 kilometres (7 miles) away. 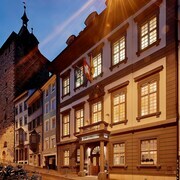 The Park Hotel Winterthur Swiss Quality as well as the Best Western Plus Hotel Bahnhof are two alternative places to book accommodation in Gottmadingen. Constance is 30 kilometres (20 miles) to the east of Gottmadingen and is home to the Mainau Island and Sealife Constance. If you'd like to spend a few nights in Constance, check out the room rates at the Steigenberger Inselhotel and ZIIL Hotel. 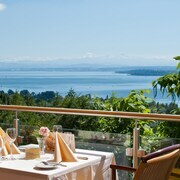 Alternatively, you could stay in Friedrichshafen, 55 kilometres (34 miles) to the east of Gottmadingen, where you can choose from the SEEhotel Friedrichshafen and Hotel City Krone. The Zeppelin Museum and Dornier Museum are a couple of the most popular points of interest to explore should you visit Friedrichshafen. Before you say goodbye to Lake Constance, ensure you catch local game. Visit Hochfirst Ski Jump to the northwest of Gottmadingen. 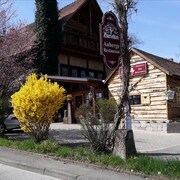 Those sports fans wanting to sleep near to the sporting action can take their choice from the Hotel Schwörer or the Café Pension Feldbergblick. If you are traveling into or out of Zurich Airport and plan to stay nearby try Radisson Blu Hotel Zurich Airport or Swissotel Zurich. 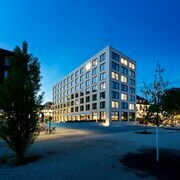 What are the most popular Gottmadingen hotels? Are there hotels in other cities near Gottmadingen? What other types of accommodations are available in Gottmadingen? Explore Gottmadingen with Expedia.ca’s Travel Guides to find the best flights, cars, holiday packages and more!